FCL(Future Cabling International Co., Limited), set up in 2002, is a leading professional manufacturer of Fiber Optics and Structured Cabling Products. With 10 year’s export experience, FCL has grown up to be being perfected company with integrated line of R & D, production, sales and service. 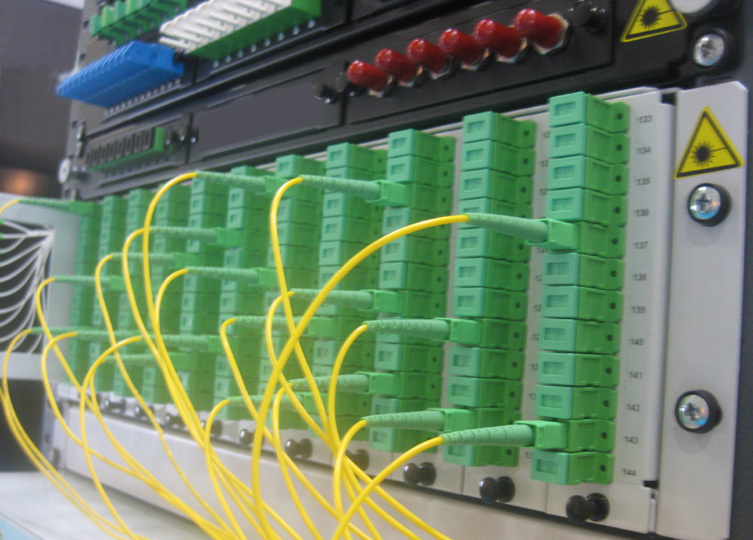 Our main products include Fiber Optic Patch Cords, Pigtail, Connector, Adapter, Attenuator, Patch Panel, Terminal Box, ODF, Splice Closure, Media Converter, as well as other FTTH Relative accessories. Besides that, we also have big advantages of Structured Cabling Products, such as Cat5e, Cat6 and Cat6a Lan Cable, Patch Cable, Patch Panel, Keystone Jack as well as Cable Management, Faceplate, Mounting Box, Inline Coupler, Telephone Accessories, Network Cabinet, etc. All of our products are designed and produced according to ISO9001:2008 and international standards, such as Telcordia-326-CORE, ANSI/TIA/EIA, ISO/IEC 11801 and IEEE, etc, we adhere to strict quality controls allowing our products to help you build long term stable business and get more returning customers. We believe that "A Happy Customer is a Regular Customer"! Now we have over 300 workers in the factory, we believe there will be more with the development of company in the near future. Our regular training will keep our workers with experienced skills and keep pace with the industry trend. What's more, our technical staff and QC members also play a very important role during the production. Because of their consistent efforts, our products are always with high performance. Our company has won widespread loyalty among our customers through her outstanding expertise Research and Development staff, excellent sales marketing, high quality production, prompt delivery, sincere and quick after-sales services. And all the products have found extensive applications with all kinds of famous brand carriers, and we have exported products to many international markets including USA, European Countiries, Southeast Asia, Australia and Middle East. We not only provide superior products, but also prompt and professional after-sales service to our customers. Meanwhile, OEM Service is well provided to many clients from us. We are not just selling products, but we are providing reliable service to help our customers build their business. So our happiness rely on our clients’ happiness and we are struggling to improve ourselves and do better in the future. Our whole team are confident to set up pleasant cooperation and get win-win result with your side. If you have any requirement, please don't hesitate to contact us. Trust us and give us an opportunity, we will...!